15 year old Youp Schmit, NB12, has reached the pinnacle of his young windsurf career as he prepares to enter his first Professional Windsurfing Association (PWA) European event. The event will be held in Fuerteventura July 27-August 2. Along with his team mates Taty Frans, Kiri Thode and Tonky Frans, Endro Finies is also making his PWA European debut. Youp at age 15 is the youngest competitor. Fuerteventure is best known for incredible winds and very challenging windsurf conditions. Youp has trained since last year for his entry into the Pro level in the PWA. When he last spoke to this roving reporter he felt he had reached a point in his career where he needed to push his skills to the limit. While he won his class in previous Pro Kids Events Youp realizes the PWA offers a greater challenge. He is excited to make his debut and hopes to let the windsurf world see a glimpse of his brilliance. The Curacao Challenge was the premier Caribbean based windsurf event of the Spring season. 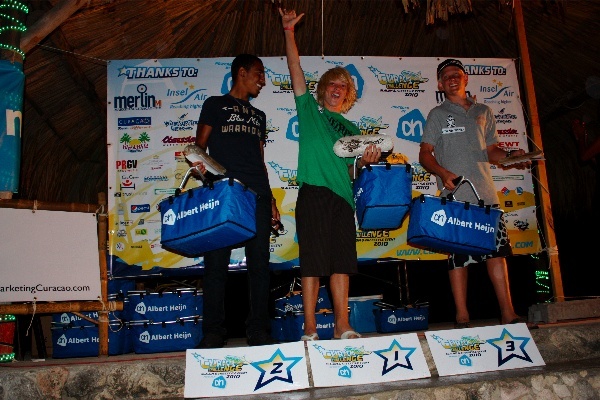 Youp Schmidt, a young talent from the island of Bonaire earned 1st place in the freestyle category for 18+. The freestyle event was held for two days April 5 and 6. While the winds were light, Youp pulled off some slick moves including a Shaka seen below. Youp goes on to Europe this summer to compete in the Professional Windsurfing Associations (PWA) world freestyle tour. 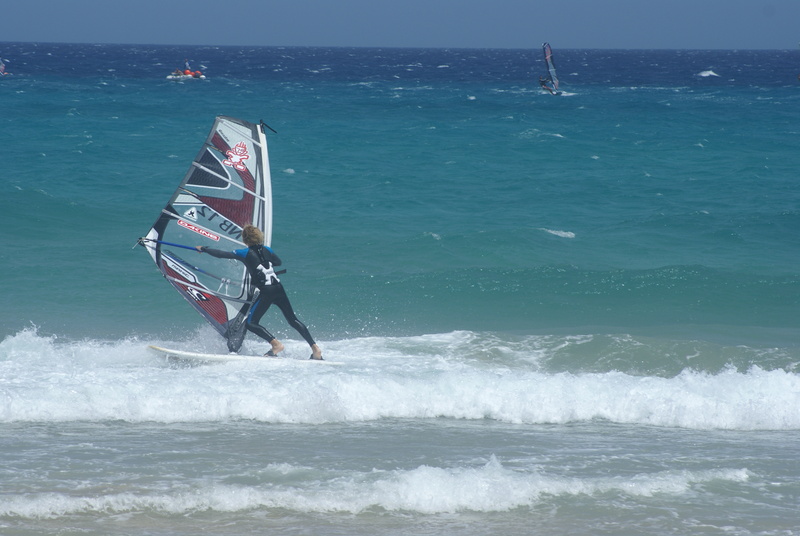 Youp Schmit from Bonaire, 14 years, competed in the Starboard Prokids World Championships. The competition was held in Italy, on the north side of the island Sardinia at the spot Porto Pollo, from the 22th till the 27th of June. A lot of kids from all over the world showed up for the competition. There was great wind and flat water so it was perfect for all the sliding moves. Youp started great, right after the starting signal he pulled out his first moves, like spock 540 or a funnel. He managed to continue in this 5 minutes heats, with very great moves. He impressed the crowd and the jury, by showing his tricks, like shaka’s, double flaka’s, funnels, and more. For 5 days, he was able to win every heat from his opponent, so it was very clear that he was the best. The final result was 1st place in the under 15 category. Youp said: “It was a great experience and a lot of fun competing in this competition, cause you can see how other kids have improved there new tricks, and also showing them my new moves”. “Every evening there was a dinner or a BBQ, but it was mostly pizza which I like the best”. “I would love to come back to Sardina one time”. After Italy Youp stays in Holland, for a couple of weeks, getting some experience there, with Rick and Nick on the Brouwersdam.